Up to the age of about 18 months I had assumed, like all of my family, that Alfie was just a quirky child who was slightly delayed. He never really played like others his age. He would line up toys, flip anything with wheels upside down so he could spin the wheels, everything would be chewed on and he loved to climb everything he could. However, shortly after 18 months we noticed Alfie had no speech whatsoever, he had lost some skills e.g. waving, following our pointing, eye contact etc. Alfie never pointed to anything himself, hated any form of messy play, seemed to have no awareness of danger, carried small objects in his hands constantly and didn’t seem to understand what we were saying, he wouldn’t even respond to his own name. After receiving the ASD diagnosis in April 2016 we were in a state of shock and grief. The NHS sadly did not provide us with much support so we looked into private therapy in the hopes that it would help Alfie, which is when we found the Ark. Alfie has been attending the Ark setting since July 2016, to say he adores it is an under statement. This is a child who would never let me out of his sight for even a second, however, shortly after starting at the Ark he would run in ahead of me very excited and wouldn’t care that I left. 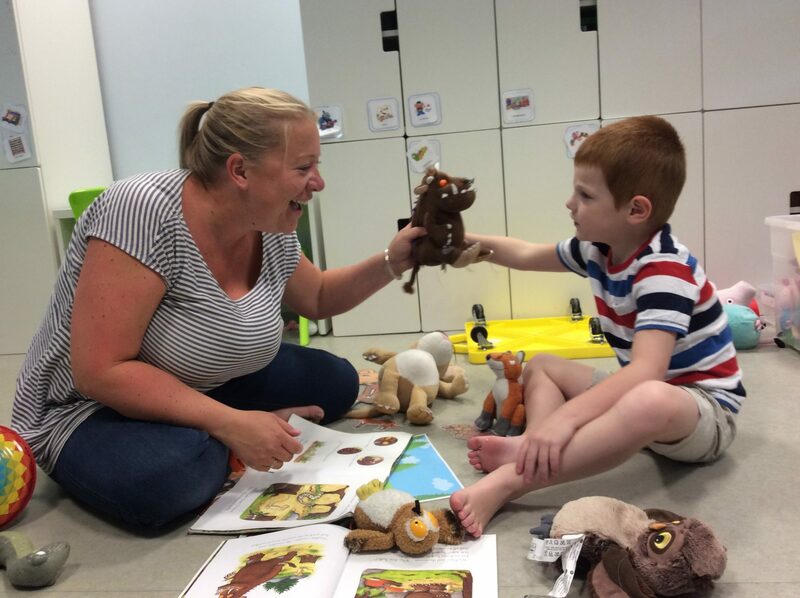 The Ark have been enormously helpful with everything to do with Alfie, from his stimming, ideas to encourage play, tips on diet, potty training, sleeping and speech/communication. 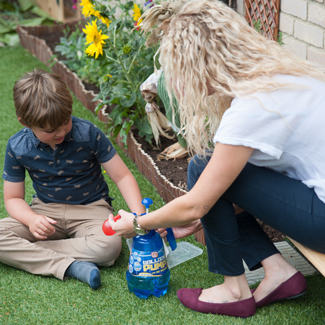 We have noticed a huge improvement when it comes to meltdowns and tantrums in length, occurrence and gravity. Before the Ark were involved a meltdown/tantrum would happen numerous times a day, could last anywhere up to two hours and there was a very good chance that Alfie and others around him would get hurt. However, now tantrums/meltdowns only tend to occur a few times a week, are over within 10 minutes maximum and the chance of someone getting hurt is rare. I am positive that this is down to the Ark teaching him calming techniques and a way to communicate his needs, as well as teaching me how to deal with the behaviors Alfie demonstrates. 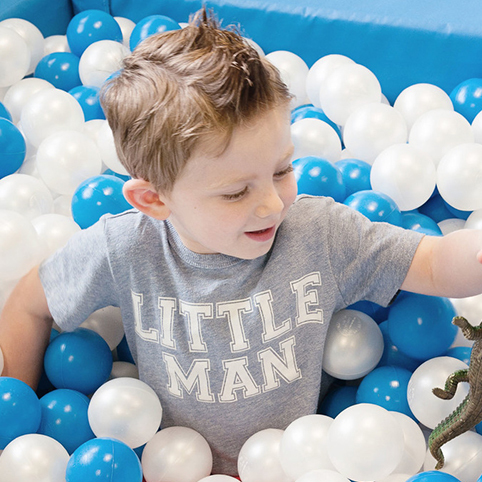 The Ark taught us how to use PECS to help Alfie to communicate with us, which was a huge step for Alfie as it was like he found his voice. We have regular meetings and reviews to discuss progress and future steps to be taken. The team at the Ark have also assisted Alfie’s key worker at his pre-school. Showing her techniques they use and explaining why and how they help. She has in turn used these techniques in his pre-school to encourage learning. Probably the most significant change we have seen in Alfie since starting at the Ark is that it used to be he would only ever engage with myself and would never be without me by his side. He would never share activities with his father, grandparents, pre-school staff etc. Also, whenever anyone other then myself got close to him, even just for a cuddle, he seemed to panic and want to find where I was. However, the Ark have shown him that adults other then mummy can be fun, helpful and join in games. I am hugely grateful for this, as now I get to regularly see Alfie enjoying a game of rough and tumble with his dad, asking his dad for help rather then always coming to me and regularly showing affection to those closest to him. His dad agrees that this is a huge change and one that we are happiest with.